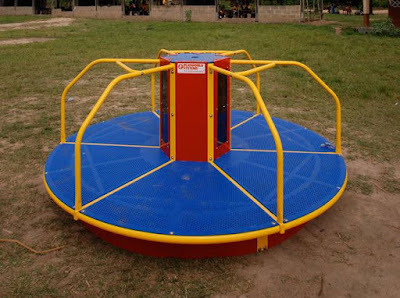 School Selection Merry-Go-Round - I Love ABA! Round and round and round, without actually going anywhere. For many parents, that is what the school selection process can feel like. As part of what I do, I have helped lots of families make decisions about ideal school placement for their children. It is always an emotional discussion, full of more questions than answers. While I am sure every parent wishes their BCBA knew of the local schools that are just PERFECT for their child, in reality the best we can do is equip parents with information to make a solid choice. I was recently talking to a family I work with, and the father stated that he wished there was some type of list to help parents know which school choices are the best for children with Autism. The mother then stated that even if such a list existed, that doesn’t mean it would be applicable for their child. In other words, there is no list of “Perfect schools for Allison” or “Perfect schools for Marcus”. It’s so tough seeing parents wrestle with school decisions, especially if their options are limited. There are many variables that can limit your options of ideal school placement, such as lack of funding/income, the child has significant behavior issues, living in an international location, or minimal experience with advocating within a school system. So just to be clear, this post is not a guarantee to finding the perfect school for your child. Instead the purpose of this post is to help parents understand how to think about school placement, how to evaluate their options, and how to let go of the search for “perfect” and instead search for “ideal”. Tip #2 - Gather as much intel on potential schools as you can, through the school website, by meeting with administration, by observing in a classroom, etc. Other parents will be a great resource to you as well. If you neighbor has a 5-year-old with Autism attending the elementary school up the street, ask about their experiences. What are the pros? What are the cons? What treatments or services does the school offer? This leads me to my next tip….. Tip #3 – What’s good for the goose may in no way possible be good for the gander. While it can be helpful to talk to other parents about their experiences, all kids are unique. Just because ABC school down the street is supposed to be perfect for kids on the Spectrum, it could be a horrible fit for your child. Avoid making quick decisions based entirely off of what other people have experienced. I see this happen more often with special needs schools; all it takes is one unique situation that the school isn’t equipped for and suddenly the “perfect school” starts getting a bad rep. So whether good or bad, do not make school placement decisions based only on what others have experienced. Tip #4 – The “Big 3” as I like to call them, are the main criteria you need to have for evaluating a potential school. Ready to hear the 3? Okay: Allowing the ABA team inside, Behavior Plan, & Active Collaboration. Let me explain this a bit by saying that I usually am having this school conversation with a family who requested my services. So by nature of requesting my services that means their child is receiving ABA therapy, and has some significant behavior concerns. So if that is not the case for your child, then the Big 3 may not be so relevant. However, if the Big 3 are indeed relevant for you then keep reading. It is imperative that the home ABA team have collaboration and open communication with the school. That could mean classroom facilitation, it could mean taking the child out of the classroom for 1:1 therapy, or it could mean the BCBA attends every IEP meeting. The home behavior plan must be included in the IEP, and needs to be implemented at school. The teacher needs to be able to contact the BCBA with concerns, and vice versa. Everyone has to be one big Brady Bunch kind of family, or all kinds of problems and skill/behavioral regression can occur. Tip #5 – My last tip is intended to save you lots of stress, worry, and heartache when it comes to selecting a school. Let go of the idea of perfection. Just wave bye-bye to it, and drive away. I don’t know of any parents (of special needs or typically developing kids) who can say “I just LOVE my child’s school 100%!”. If you can say that about your child’s school, congrats…..but I don’t know of any parents who can say that :-). You will have to deal with some things you don’t like, some policies you don’t agree with, a few “dud” teachers (they won’t all be great), some tense and awkward IEP meetings, etc. As long as your main concerns are being addressed (refer back to Tip #1), and your child is progressing, consider the school to be a great placement for your child. 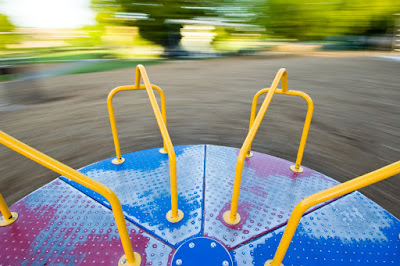 The sooner you can let go of the mythical perfect school, the sooner you can get off the school selection merry-go-round. Being Back 2 School Ready! School vs ABA: Which side are you on?